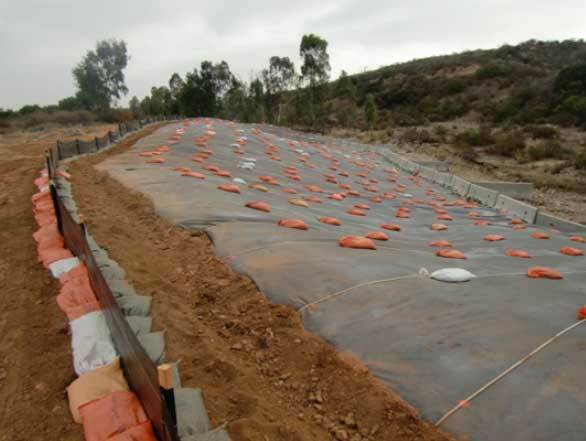 Installation of an Erosion Control System - Noreas Inc.
On behalf of the (SDV JV), NOREAS performed various tasks over a period of 3 years to reduce the risks of exposed landfill wastes from being released into an adjacent creek. We prepared an Engineering Evaluation/ Cost Analysis (EE/CA), Action Memorandum (AM), and Time Critical Removal Action (TCRA) Work Plan. We also designed and installed temporary erosion control measures for landfill waste debris adjacent to a creek bed prior to the rainy season. NOREAS supervised excavation of approximately 6,500 cubic yards of landfill material and waste on the eastern, northern, and southern sides to consolidate the waste and minimize the erosion of waste into adjacent areas. We transported and disposed of over 6,000 cubic yards of RCRA, non-RCRA and non- hazardous materials off site. Additional activities included collecting confirmation and stockpile soil samples, performing biological monitoring, and conducting soil gas survey, geotechnical investigations and topographic surveys. This project was considered high complexity due to potential for presence of wastes in the adjacent creek area. 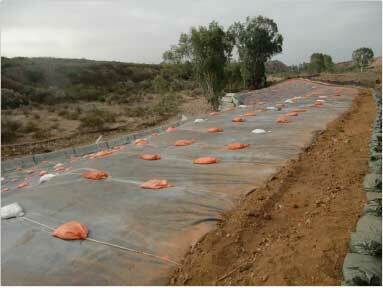 The time-critical action was needed to install an erosion control system before the rainy season. Other potential concerns pertained to the compressed schedule, the presence of munitions and explosives of concern, the need for protection of biological resources, the large volume of soil/wastes excavated, and the steep slope along the creek.